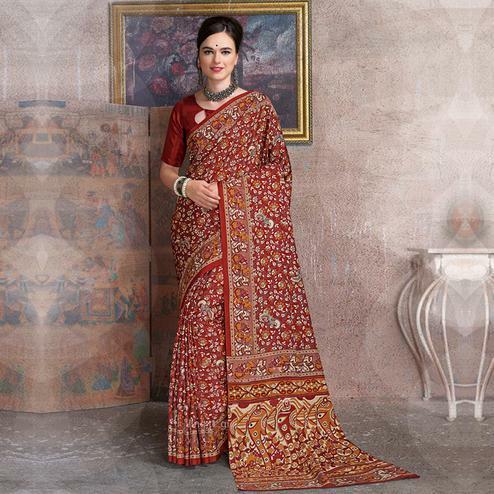 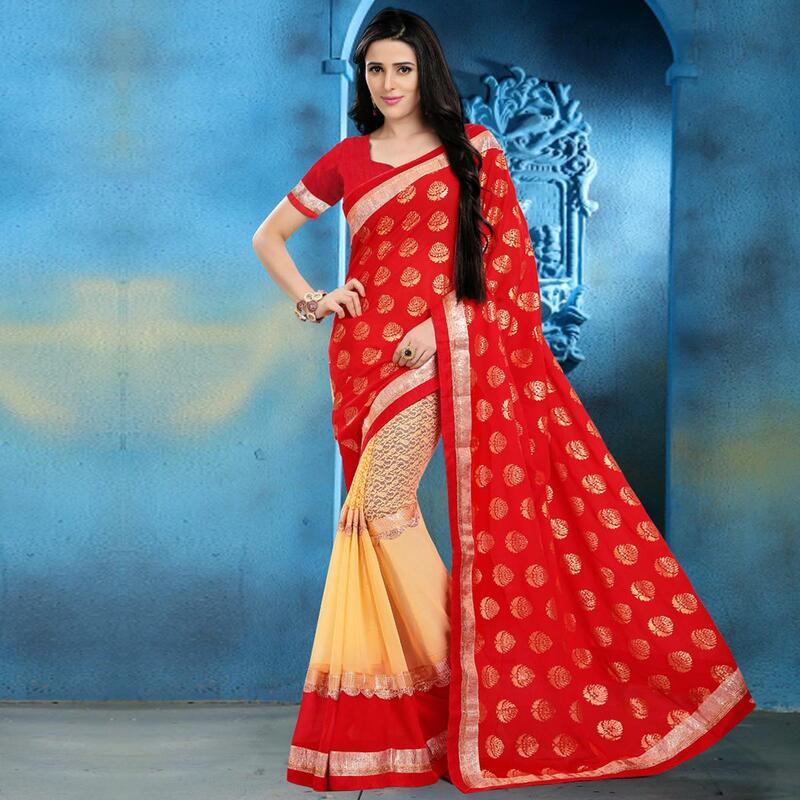 Appear ethnic with this affluent red - beige georgette half & half saree. 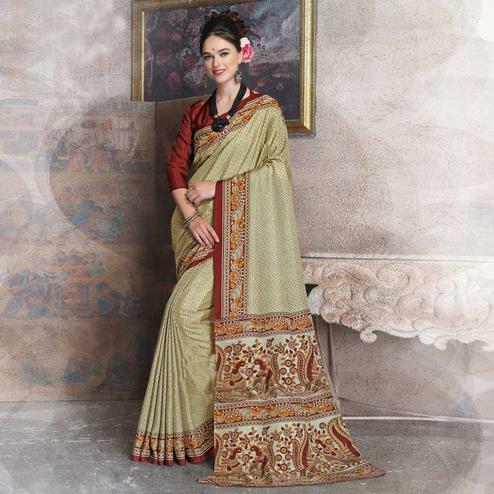 The saree is enhanced with its foil work & lace border work. 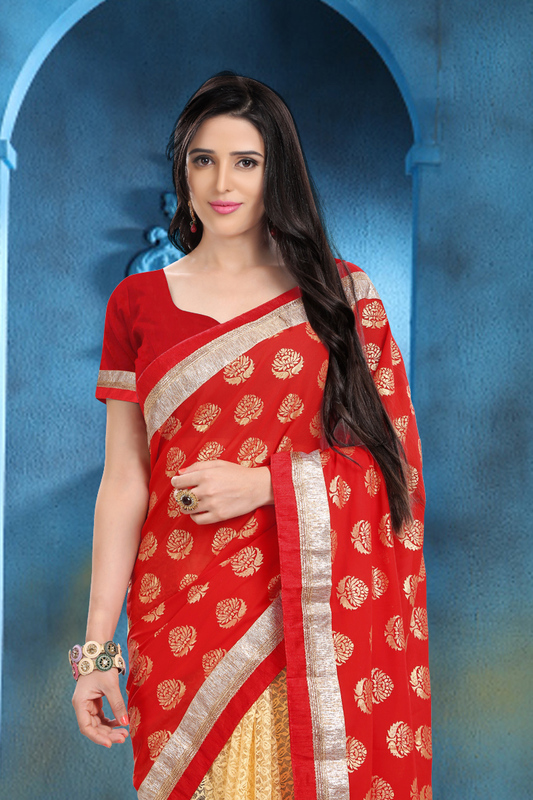 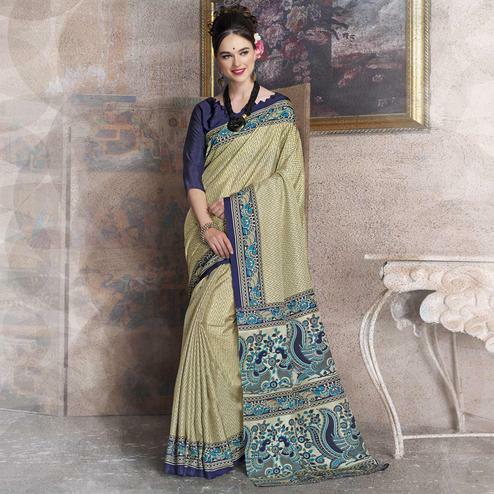 This saree is perfect for casual outing & social gathering. 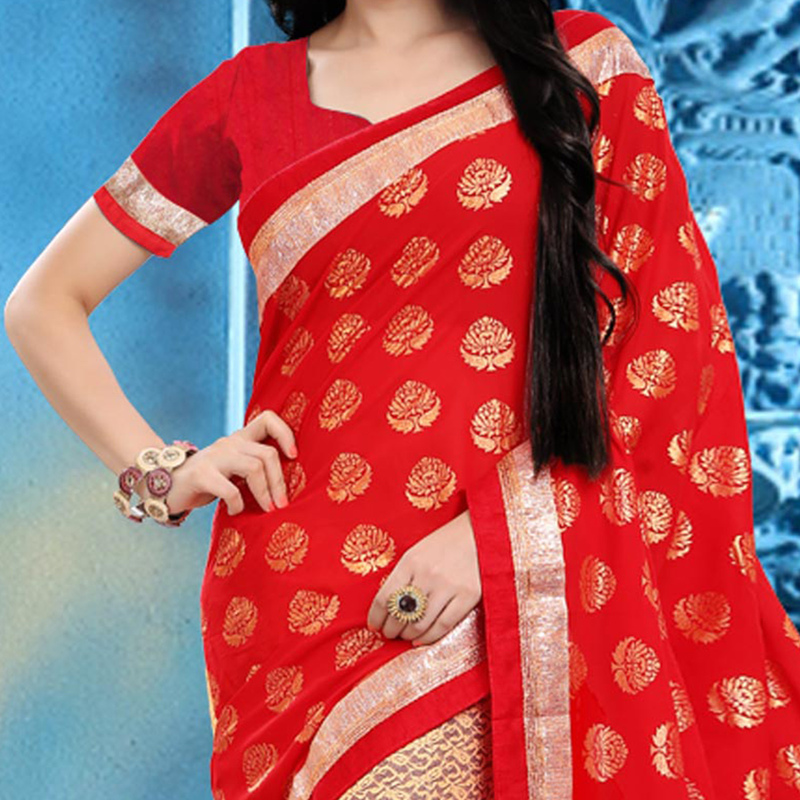 Saree comes with a matching dhupian blouse.